Signs Visual prints high quality canvas textured printed graphics for gallery displays, exhibits, art shows, museum stages, and more in New York City. Our canvas prints have a nice satin non-glare finish and bring out a dimension to your printed image. Image reproduction is very high with canvas prints and color fidelity is very true and vibrant. Canvas prints can be done up to any size and be mounted or stretched onto a wooden or metal frame. 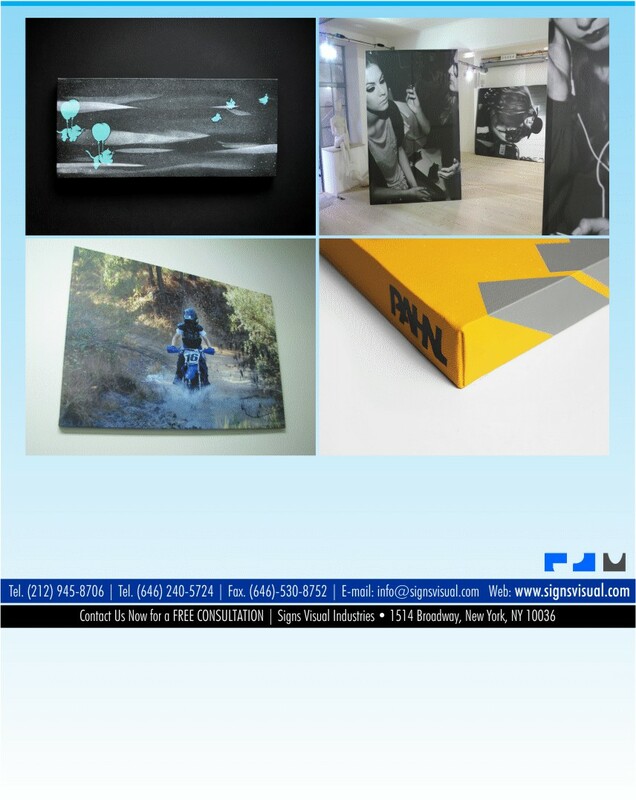 Contact us now for a free quote on your next canvas prints in NYC!